ORP has removed tons of ghost gear from areas near Karachi and the fishing village of Abdul Rehman Goth. But now we have a new problem: What to do with 4 tons of ghost nets? Thanks to some creative thinking and innovative collaborations, we are now putting ghost nets to good use in various and surprising fields. 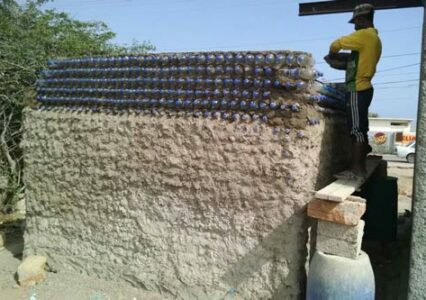 Continue reading"From Ghost Nets to Good Nets – Creating Value Out of Waste"
When you are looking at a sea turtle, you are usually not just looking at a single organism. Sea turtles never swim alone. Many creatures live directly on or even inside a sea turtle. As for all animals, this so-called symbiotic relationship does not have to be negative of the turtle. Continue reading"﻿Sea Turtle Hitchhikers – The Symbiotic Relationships of Sea Turtles"
We had a very special arrival recently, an incredibly rare white sea turtle. 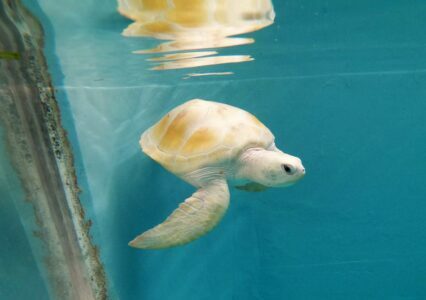 Cloud is a green sea turtle with a genetic condition called Leucism. Leucism is a condition where animals have reduced pigmentation, but different from albinism, as albino animals have a complete loss of pigmentation. 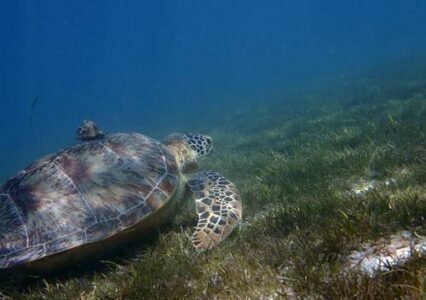 Continue reading"A Miracle of Nature: Cloud, the Rare White Turtle"
The North-East monsoon season in Maldives is peak season for ghost nets drifting into to Maldives, and along with them, entangled marine life. The team at One & Only Reethi Rah recently removed a monster ghost net in North Male Atoll, estimated to weigh between 200 and 300 kg. 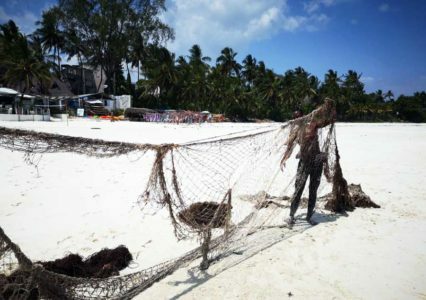 Continue reading"Monster Ghost Net Found In North Male"
As the Olive Ridley Project starts its work in Kenya, we are eager to know what are the current ghost gear impact on local marine life. With a daily presence on the diving boats of Diving the Crab Dive Centre, one of our partners in Diani beach, our team is recording and, when possible, participating in removing all visible ghost gear on the local reef. 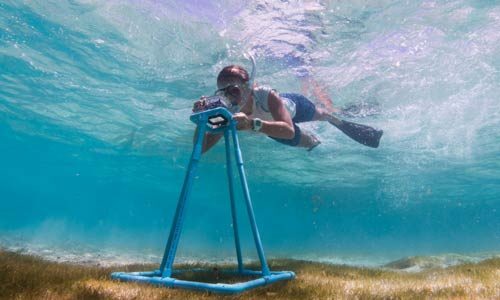 Continue reading"Ghost Gear Impact In Kenya"
Maldives Underwater Initiative (MUI) is a partnership of NGOs and Six Senses Laamu Resort consolidating our research, science communication and community outreach work to conserve marine life in Laamu Atoll. ORP and MUI aim to make Laamu Atoll a safer place for sea turtles. 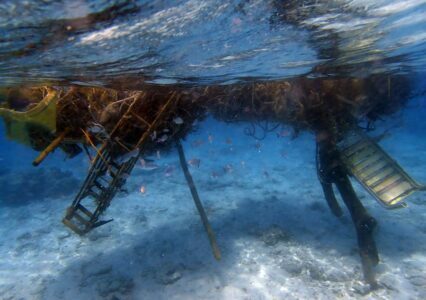 Continue reading"Maldives Underwater Initiative – Uniting To Save The Ocean"